Lake Conroe Waterfront Homes, Montgomery TX Real Estate - If you are planning to buy or sell Lake Conroe Real Estate, or in Montgomery Texas or surrounding areas, this website is loaded with the tools and information you need to research your next move! Search Homes for Sale with no registration! And, don't miss the Featured Listings that contain more photos and detail! Be the first to know as homes enter the market! I'll send you New Listing Alerts via email. Use our unique 4-in-1 Mortgage Calculators. Get free pricing assistance with an evaluation of your home's value delivered via e-mail. Learn How We Can Assist you - Visit the Get to Know Me page to discover how the services we provide will benefit you! And, make sure you get the right answers. Don't make critical decisions based on information from a website. It doesn't know you or your goals! 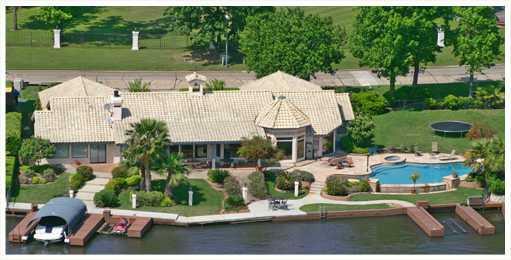 Ask the Lake Conroe Real Estate Expert. As you know, buying or selling a home is an important decision. Obtaining expert advice will result in the best decision for you and your family. That’s where I come in. You’ll see the difference when you work with an authority on Lake Conroe homes. Call me at 713-562-4933 to obtain information about, or to visit, any home or property you see on this site, or if you want to discuss a marketing plan for selling your home! You can also use the form below to send an e-mail. Thank you again for visiting. I look forward to hearing from you!